In the coming weeks, contracted teams will be at the sites that have been acquired by the Town through the buyout program, to prepare for the next stages of the lots. The preliminary work will include hazardous materials inspections, Town-approved organizations salvaging material, and on-site pre-bid meetings. More information on the buyout program, including a detailed timeline and the status of the buyouts will be released next week. Correction from previous eblast: the Lyons Depot Library is expected to finish construction in April 2016. 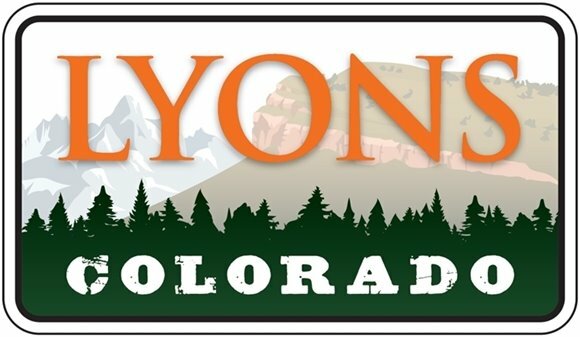 For information regarding the Lyons Regional Library District, visit lyons.colibraries.org. The Lyons Kids Kayak Club kicks off at Centennial Pool on January 15 through April 15 on Friday evenings from 7:00 PM-8:30 PM at Centennial Pool in Longmont. The cost is $85 total or $10/drop-in session. Contact Parks and Recreation for more details at 303-823-8250 or email recreation@townoflyons.com. Registration ends January 15th. Is your child ready to start babysitting? An American Red Cross Babysitter’s Training class is available for kids ages 11-15 on February 6 and 7, from 9:30 AM to 2 PM in the Town Hall Board Room. Must attend both days. The cost is $55 and you must sign up by February 4. This fun and fast-paced class has hands-on activities, exciting videos, role plays and lively discussions. Youth will learn child care, first aid, leadership and communication skills. Participants will receive a Babysitter’s Training Handbook, Emergency Reference Guide and CD-Rom for babysitters to use in the class and on the job. Class will be taught by Lori LeGault. To sign up, email llegault@townoflyons.com or stop by Town Hall. Attention art lovers of all ages: Plan to join us for a FREE Intergenerational Art class with Jennifer Quinn on Monday, February 8, from 3:00 to 4:30 PM at the Walt Self Senior building. The art project is “Story Stones.” Share a story on a unique river rock. All ages are invited to this class and you can come and go any time during the time frame. RSVP is suggested but not necessary. To RSVP, email llegault@townoflyons.com or call 303-823-8250.